As the gateway and an anchor of the Beverly Arts District, The Cabot is well-positioned to feature an impactful public art installation that embodies the unique spirit of Beverly; honoring both its tradition and innovative spirit. In summer of 2019, in partnership with Beyond Walls, The Cabot will install world-class murals on its exterior walls. These murals will magnify the eclectic arts community in Downtown Beverly and inspire additional public art installations throughout the city and beyond. We aim to create a mural installation that reflects The Cabot’s past, present, and future, while remaining fully encapsulated in our exciting present course as a vibrant performing arts center which presents world-class films and live performances in our beautiful historic theater. By involving the community in the planning process, we will ensure these murals best reflect the people of Beverly, as well as The Cabot’s rich history as a performing arts venue. Pictured above: Artists rendering. No artists or designs have been officially selected at this time. 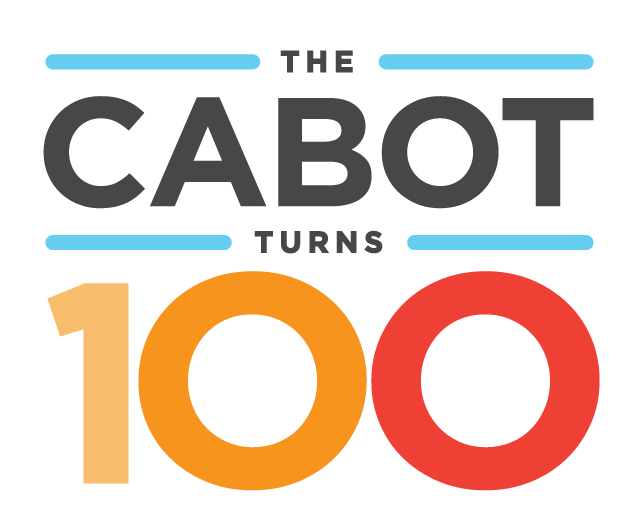 ​Give: The Cabot needs YOUR help to raise $15,000 to complete this exciting placemaking endeavor. Please click below and donate what you can to bring new murals to the North Shore! Provide Feedback: Let us know what you want to see this project accomplish by filling out this brief survey. Apply to Paint: The Cabot is now accepting submissions for muralists to be considered for this project. Please fill out this application by 5PM EST on May 1, 2019. Share: Please tell your friends, family, and neighbors about these plans! Join Us! Please look out for announcements of events to celebrate this project. We’re hoping for donations of all sizes – large and small – to help bring new murals to the North Shore! 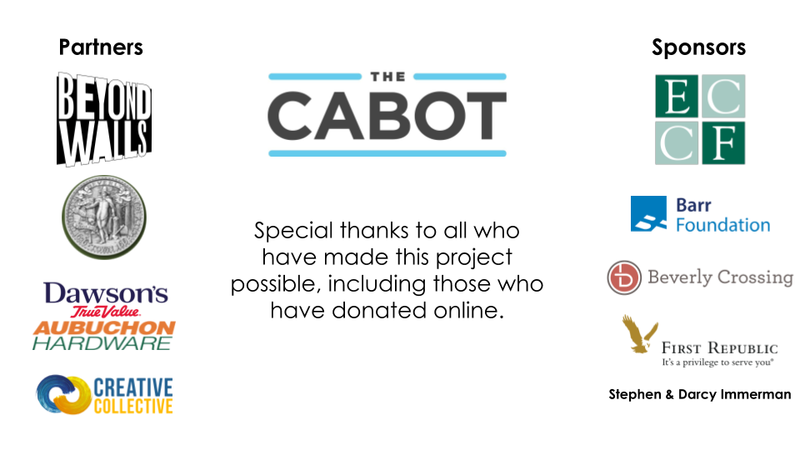 Your tax-deductible donation supports The Cabot’s implementation of this project. The Cabot is a 501(c)(3) nonprofit organization. Your contribution is tax-deductible.